Develop your “in between” strength. And improve your readiness for sport and life’s unpredictable situations. – Pavel Tsatsouline, StrongFirst Chairman, Beyond Bodybuilding, 2005. For over 20 years, Pavel has taught us many unique and productive drills for advanced mobility, flexibility, functional strength, and resiliency. But such vast knowledge—from his various books, articles, instructional DVDs, workshops, courses, and certifications—poses several questions. Where do you start? How can you possibly prioritize? How do you walk the safety-challenge tightrope to get the benefits? Enter the StrongFirst RESILIENT program. 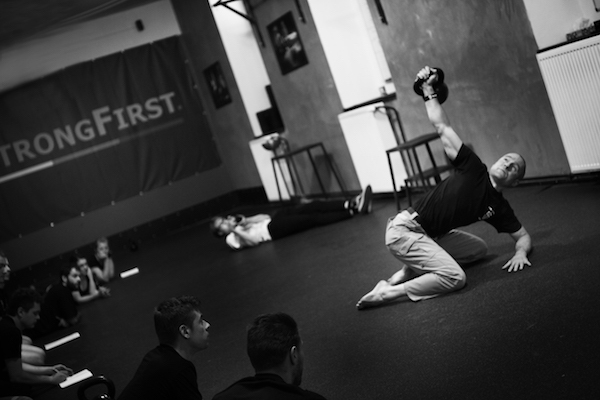 REGISTER HERE to attend the first StrongFirst RESILIENT Course with Senior SFG Pavel Macek. Developed by Pavel Macek, Senior SFG, StrongFirst RESILIENT distills Pavel Tsatsouline’s bevy of innovative drills into a comprehensive, systematized program focused on the best, most productive, and game-changing moves. Improve your capacity for moving well and moving strong outside the gym environment: in your sport and everyday life. StrongFirst RESILIENT gets us out of our regular groove, going beyond conventional “correct” technique to expand our comfort and buffer zones. We explore the edges of our abilities safely, step-by-step, with a clear aim and purpose. Get ready to gain from orderly disorder. StrongFirst RESILIENT is not meant to replace your regular lifts. It’s designed to fill in gaps, to develop what Marty Gallagher calls “in between” strength. And to improve your readiness for sport and life’s unpredictable situations. RESILIENT offers a potent mix of movement practice, weighted mobility drills, loaded stretching, and strength training. We purposely explore angles and ranges usually avoided in popular training, mostly from inexperience or fear of the unknown. These uncharted training territories, where we build our capacity to withstand unpredictable loads, are what makes us resilient. Harder to injure. Harder to kill. 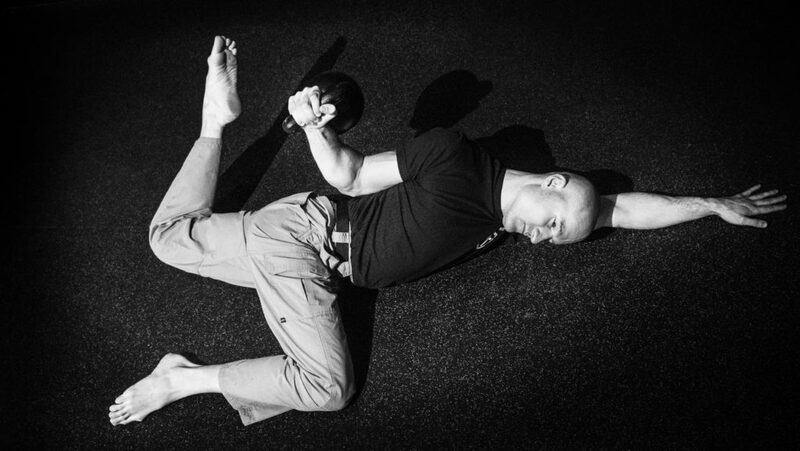 Hack Squat builds on the Simple & Sinister’s kettlebell goblet squat foundation. Jefferson Curl/Hockey Deadlift challenges the S&S deadlift rules. RESILIENT Get-up Series explores “incorrect” positions in the RESILIENT Armbar Series and goes beyond S&S’s basic get-up standard for added variation. Hanging Series teaches the straight-arm pull counterpart of the get-up’s straight-arm push. Gymnastic Bridge Series covers hollow position counter-stretch progressions and provides an antidote to today’s seated lifestyle. Neck Series focuses on direct neck strengthening, important for more than just collision sport athletes. Neck, spine, shoulders, elbows, wrists, hips, knees, ankles—we have your whole body covered. All StrongFirst RESILIENT students get a detailed manual with photos and exercise descriptions, additional reading suggestions, and a certificate of attendance. Mastering proper technique and getting strong first are RESILIENT prerequisites. 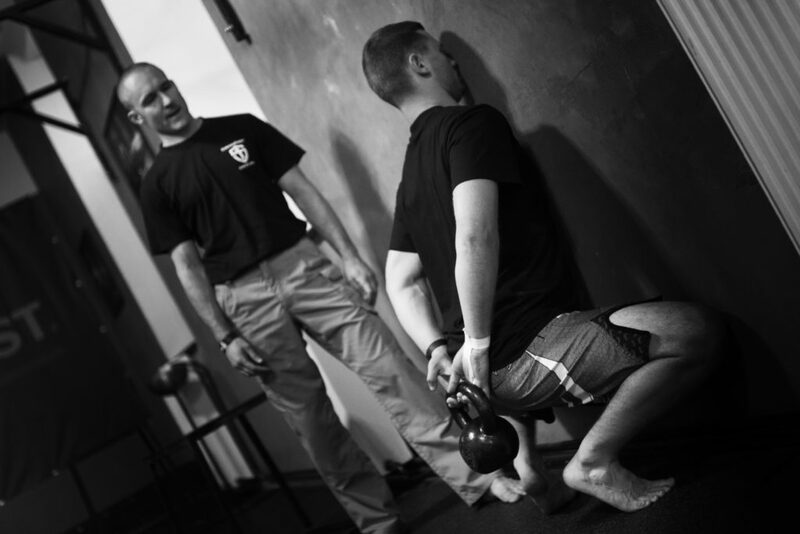 Have you learned the basics—such as the Simple and Sinister techniques of goblet squat, swing, and get-up—from a certified SFG instructor? And practiced them for at least 6 months? If you answered yes, then RESILIENT is for you. Can’t do a standard deadlift with a flat lower back? Develop the fundamentals first, otherwise you won’t be developing resilience; you’ll be setting yourself up for injury.